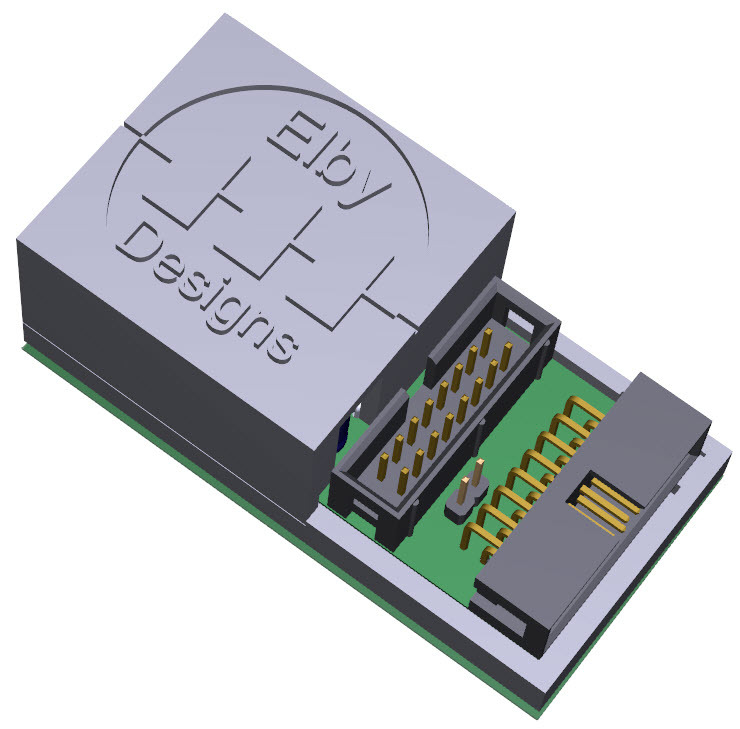 The EURO-5V is a small power adaptor that provides a clean +5VDC supply for modules that require an external 5V supply. The recommended usage is to simply insert the adaptor in the power cable path from the module to the busboard (the unit can be fitted at either end of the power cable based on the available space in the system and positioning options for the adaptor itself). In this configuration, only the module that is connected to the adaptor will see the +5VDC. In systems with only 1 or 2 modules requiring 5V, this is the best approach and ensures that he modules get a clean +5VDC and there is minimal possibility of noise being radiated to/from the 5V rail. 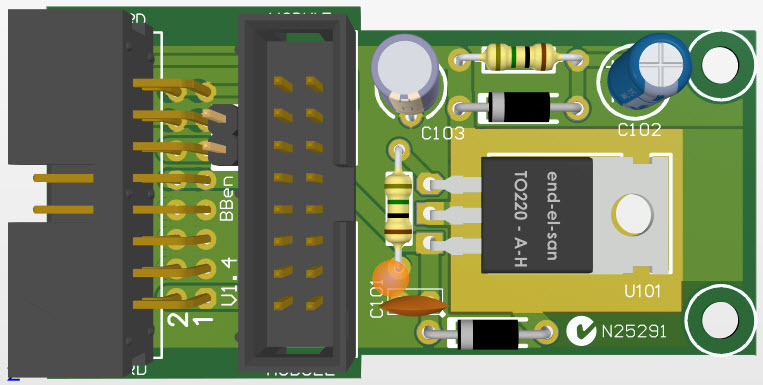 If your system has a lot of modules requiring a 5VDC rail, then a jumper can be fitted to [BBen] on the EURO-5V which will allow the +5VDC to be transferred to the busboards 5V rail allowing other modules on the same busboard access to the +5VDC. Only one EURO-5V adaptor must be fitted in this mode. Additional EURO-5V adaptors can be installed for situations where eitehr there is no easy access to a busboard 5V rail or you have a module that requires an 'extra clean' +5VDC supply. The EURO-5V is housed in a plastic enclosure which virtually eliminates any exposed electrical bits and allows the EURO-5V to, literally, sit anywhere in your system without fear of shorting against other metal parts. The EURO-5V measures in at 65mm x 35mm x 15mm .